Elon Musk is by and large a household name these days, not only for his creation of the first widely-used digital payment alternative in PayPal but also for being the engine behind the Tesla line of high-end electric vehicles. PayPal is well established, but Bitcoin is moving out of the shadows of the could-be class of digital technologies and yet next to no one will know who Satoshi Nakamoto is. He’s the man who developed Bitcoin in 2009, and he’s acknowledged to be something of a ‘mysterious’ figure in the tech world. Here at 4GoodHosting, we’re a top Canadian web hosting provider, but we’re also keenly attuned to how many of your clients are operating e-commerce websites. Bitcoin is something of a buzzword these days, and as it continues to gain momentum there’s more than a few who are wondering how easy or not it will be to adapt Bitcoin as a payment method for customers. 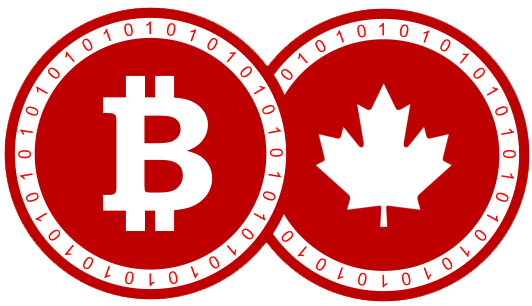 Bitcoin is what’s come to be known as ‘cryptocurrency’ that is based on blockchain technology, rather than being regulated by a national currency, Bitcoin is considered by its proponents to provide unmatched privacy and security when compared to other currencies or payment systems, and without transaction fees or taxes. Where it’s iffy is that some of these same advantages also make Bitcoin appealing to those conducting criminal business online. In addition, security issues with Bitcoin exchanges and wallets contribute to its extreme volatility. A cryptocurrency is a subset of digital currency that is decentralized and structured on a set of algorithms and protocols that enable a peer-to-peer, cryptographically based payment mechanism, medium of exchange and store of value. It’s independent of external monetary value influences, and as such presents a more organic, interpersonal buyer / seller experience. Bitcoin’s currency supply is created through “mining,” and transactions with it are conducted peer-to-peer before being verified by network nodes. The blockchain is where each transaction is recorded in a public database. Blockchain technology is based on the concept of a distributed database, in which all transactions are broadcast across a peer-to-peer network of users, and an algorithm is used to validate the users and transaction. The transaction will most commonly be an exchange of cryptocurrency, but can encompass other types of data, such as contracts. The database (aka the “ledger” in Bitcoin lingo) is the record of transactions and is automatically distributed by all networked nodes running Bitcoin software. Bitcoins are mined by writing a new portion – or “block” – of the algorithm, incorporating a cryptographic hash of the previous block plus a separate number generated to continue the algorithm. The creator of the new block is awarded a set number of bitcoins and can then verify them and claim ownership of it with public and private keys. Some of you may also have heard of Ethereum. It’s another cryptocurrency, and there are also offshoots of Bitcoin with Bitcoin XT and Bitcoin Classic. Proponents of Bitcoin rave about its security and low transaction costs. There are no fees for receiving a Bitcoin payment, and fees for confirming spending are flexible. It can be traded across borders without extra fees, delays, or limitations, and with the fact payments cannot be reversed, you’re protected against the risk of chargeback fraud. Another plus is that processing payments does not require PCI or other regulatory compliance, and sensitive customer data is never stored. Multi-signature payment authorization for organizations and accounting transparency are also appealing for online retailers. However, certain service providers will consider the irreversibility of payments a drawback, although it is important to note that the receiving party has the ability to reverse transactions. There is also the potential of coins being stolen by hackers, and the possibility of national regulatory measures may become a dissuading factor in the future. Bitcoin has been associated with online criminal activity at times, due to its use on platforms like Silk Road. It would seem, further, that price volatility may be the greatest potential problem. In 2012, one bitcoin (BTC) was worth roughly $12. It passed $1,000 each in late 2013 amidst drastic fluctuations. A massive breach at the Mt. Gox Exchange led to the loss of 850,000 bitcoins worth an estimated $450 million in early 2014. Next, the price fell to roughly $200 in early 2015, but by the year’s end it had rebounded and more than doubled. It was worth nearly $800 per coin throughout 2016, and has spiked here in 2017. In fact, The Economist reported that the price of a single bitcoin surpassed the price of an ounce of gold in March of this year. It’s definitely on the up as of now, but the currency’s propensity to volatility is well established. First, you’ll need to have a Bitcoin wallet to store your Bitcoins, and a public Bitcoin address to receive them. To accept payments in Bitcoin, businesses generally use a payment processing service, but it is not entirely necessary. Bitcoin community documentation recommends merchants use a full node and not a ‘light’ wallet, as it makes payment confirmation easier and makes you less vulnerable to hackers or the like. BitPay and Coinbase are popular payment services for Bitcoin, and you can find a helpful guide for small businesses looking to implement Bitcoin payments at the Bitcoin Wiki. Data indicates that in the vicinity of 100,000 merchants were accepting bitcoin as of 2 years ago, and there are now close to 300,000 Bitcoin transactions every day. 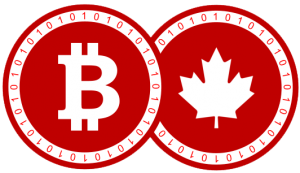 We thinks there are several factors that will come to the forefront when a company is considering whether it’s worth it to set themselves up for Bitcoin, with the specific customer base, purchasing priorities and home jurisdiction being notable among many. The explosive growth and continuing development of Bitcoin and digital currencies make it important to pay attention to, and it’s definitely an emerging technology that’s worth keeping an eye on. With the way the business and private worlds both are ever more relying on digital capabilities, it’s really no surprise that data centers are constantly growing and evolving to take on the increasing demands being asked of them. 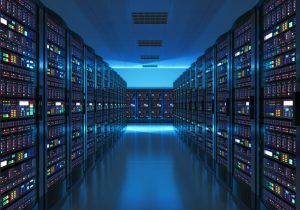 It’s a trend that doesn’t look to be slowing down anytime soon, and as seeing to it that data centers are expanded in the smartest and most foresighted manner is very much a priority in the IT management world. Here at 4GoodHosting, in addition to being a reputable Canadian web hosting provider we’re also keenly interested in the workings of our industry as a whole and both keeping on top of and being responsive to trends in the industry. 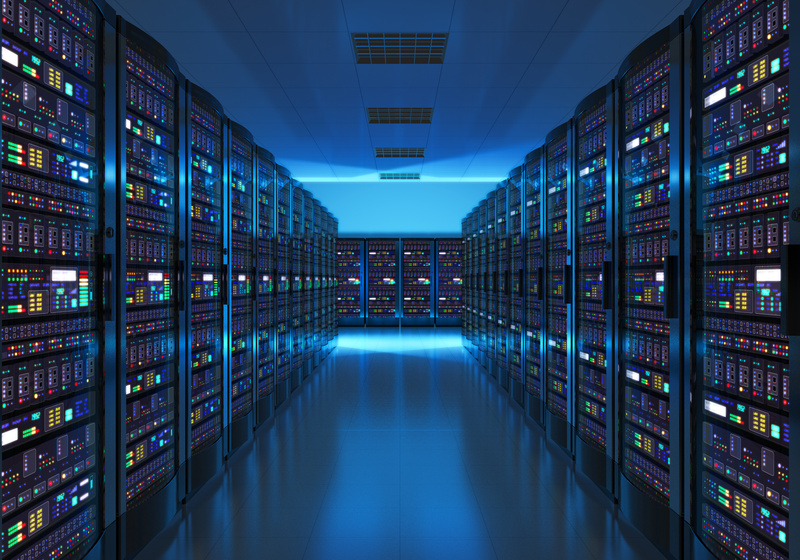 This is one that is immediately relevant to us, and so today we’ll take a look at what experts predict will be the nature of data centres in the not-too-distant future. The popular belief is that over the next 3 years, we’ll see the conclusion of a trend that has promoted change in almost every area, with networks, servers, and storage having been altered very drastically in a very short period of time. Folks like us will need to ensure our data centres are ready by focusing on networks, software, hardware (including servers), and storage. Preparing these crucial components of our data centres well in advance of the coming demands is supremely important. There are greater numbers of different infrastructure systems than ever before, but hyper-converged infrastructure systems are increasingly the top choice for data center operators. Hyper-converged infrastructure systems are software driven systems that combine networking, storage, and other technology to enable the virtualization of the infrastructure system. By utilizing commodity computing, the system is able to streamline processes and maintain lower operating costs while still being administered by an individual hosting company. This essentially creates a nice consolidating of services and resources into a single system. Certain critics do question whether or not hyper-converged systems have the ability to keep up with technological advances, especially considering the number of different components bundled into one system. Still, hyper-converged systems do offer cost savings and – perhaps more importantly – promise to be easier to operate. Hyper-converged systems are bound to continue to be attractive for data centre decision makers on account of their ease of deployment, ease of management and lower overall operating cost. Employing automation tools is critical for your data center if you intend to be prepared for the future. They simplify complex processes and thus allow administrators to focus more on the data centre’s overall performance. In addition to being cost effective and requiring less human control, automation tools also offer heightened and improved security for the data center. The idea that open standards or open source resources could be hugely beneficial came about when developers made mounds upon mounds of free software available to the masses on a widespread scale. Today, open standards encompass software, hardware, and other technological functions for fostering public computing by granting administrators access to free resources. The advantage of that for data center operators is clear, with the costs saved being able to be invested into different resources and necessities required for the operation of the data center. Open source resources will run on any commodity hardware, and as such they will allow free access. Hyper-converged infrastructure systems and open resources then worked together more synergistically, and when you factor in that cloud computing resources were made available through commodity hardware as well the appeal of open standards is here to stay for data center operators as well. In fact, it’s changing the very foundations of the modern data center. By reorienting the way developers treat IT infrastructure that’s driven by application containers. Adoption of open source practices will continue to transform the modern data center ensuring it is ready for the technological changes that are most certainly on their way. Cloud computing has drastically revolutionized how we receive, send, and share information and data – and in a good way! The development of a software-driven infrastructure system gives data center managers much more freedom and accessibility with the delivery of information. Software-driven infrastructure systems allow for more freedom and accessibility with the delivery of your information and cloud computing returns that control to administrators. The appeal of that also goes without saying, and many companies who have already embraced cloud computing are doing so more and more each month and especially in how it relates to the intake and output of data from data centres. Not surprisingly, newer and ever-better software continues to be rolled out for consumers. The variety of it means you must be particularly discerning about updates and new if your data centre is to be functioning optimally. Networking is of significant importance too, and advances in Ethernet networking protocols have been a BIG plus for data centres as well. Keep up on the trends and dig deeper when possible and you’ll likely be kept in good stead when it comes to software advances for your data centre. If nothing more, the sheer volume of data that data centres will have to both house, process, and export in the future will be staggering, but it’s good to know that technological developments are doing a decent job of keeping pace with the expansion and all the operation challenges it poses. Buy & Sell Domain Names: As Profitable As Some Suggest? You’ve probably all heard a story or two where someone foresaw the popularity of a particular term or name that would be associated with a specific subject matter. They then proceeded to purchase it as a .com or other extension domain name, and before long they flipped it off to a very qualified and desperate buyer who absolutely HAD to have it for their business. While not the most well known such transaction, the biggest one was when someone made $35,000,000 for VacationRentals.com. Here at 4GoodHosting, we are a top web hosting provider in Canada, but our ‘worth’ is nowhere near such a lofty sum. With that understood, however, we do know quite a bit about buying domain names and how it’s rarely the windfall some people expect it to be. However, when the domain trade is done right and you have a little bit of luck, it is an enterprise where particularly lucrative deals are certainly not unheard of. The tactic is straightforward: domain names are purchased with the prospect of reselling them at a significant profit. The trick, of course, lies in securing domains that may be valuable to deep-pocketed buyers, like a large company, somewhere down the line. Today we’re going to discuss all the important facts and terms on the topic of selling domain names for a profit, as well as taking a look at some impressive examples of crazy high sale prices for publicly traded .com domains. Domains are nonmaterial goods. Accordingly, when they are sold the only transaction taking place is the actual transfer of the domain rights between users. With the exception of any instance where there is a copyright or trademark violation, pretty much any domain name can be bought or sold. However, generic domain names, such as car.com or computer.com, are not legally protected and as such can be reserved by anyone. The value of a domain is determined via a specific evaluation process. The obvious part of that would be in understanding that traders will find domains that are indexed on Google and highly ranked to be particularly attractive. (Here is a very useful free Google Index Checker Tool) From there, specific SEO qualifications come into play, with backlink profiles or the search volume of the keywords in domain names also contributing significantly to the appraised value. Further, design can also make a positive contribution to the price of a domain. Short and succinct domain names are preferable, and as such more valuable. Endings also factor in; top-level domains (TLDs) such as .com or .org are by far the most in demand. As the domain trade will always be dictated by market-driven principles, a particular domain will never be worth more than the buyer is willing to pay. Accordingly, criteria like market potential and usability will always be very integral to determining prices. Values can change in an instant and drastically, and the price of a domain that was once of little interest to anyone in years past can skyrocket seemingly overnight for one or more of many different reasons. So, if you have one that you foresee being desirable in the future, you next need to know how to check if a domain name is available for registry? You’ll find that those trading domains for commercial purposes are generally more focused on ones that feature those in-demand and thus valuable domain endings. For all intents and purposes, there are two different ways you can proceed to make money from the purchase and sale of domain names. The first is in purchasing already established names for a low price, and then selling them for a profit later once their value has increased. The second involves buying and registering a domain that you believe will be desirable in the future and one that prospective buyers will compete over, thus making it worth more. Many domain traders use backorder services. These services automatically register a domain when one becomes available, or is deleted (A deleted domain is more typically one that has become an expired domain, meaning it hasn’t been renewed and paid for by the owner). Domain trades can be conducted by many different means. The individual who’s registered a particular domain name generally is not anonymous and if you’d like to be in touch regarding the purchase of one it’s usually not difficult to do so. The domain holder has fully autonomy to sell his or her owned domains as they like, as well as promote them by whatever means they like. Prospective buyers are able to directly contact domain holders in cases where the desired domain is either available or not. Most registries will make the names and contact data of domain holders available publicly. You’re free to domain holders and make an offer for the name at any time, but obviously quite often you won’t even receive a reply if they’re not interested in selling it or they find your offer to be insufficient. Another point to keep in mind is that sales do occur more frequently in instances where the original domain owner did not have any existing commercial ambitions for the domain name. It’s common for domain traders to inform website visitors that the page they are on is for sale by providing their contact data on the page. The more ambitious and profit-minded of them will actively seek out potential buyers. Domain marketplaces like Sedo, GoDaddy.com, or BuyDomains.com serve to link potential buyers with domain holders who are keen to move their virtual property. In a sense these platforms are functioning as a domain real estate agency of sorts, and accordingly they can be pricey for their services. 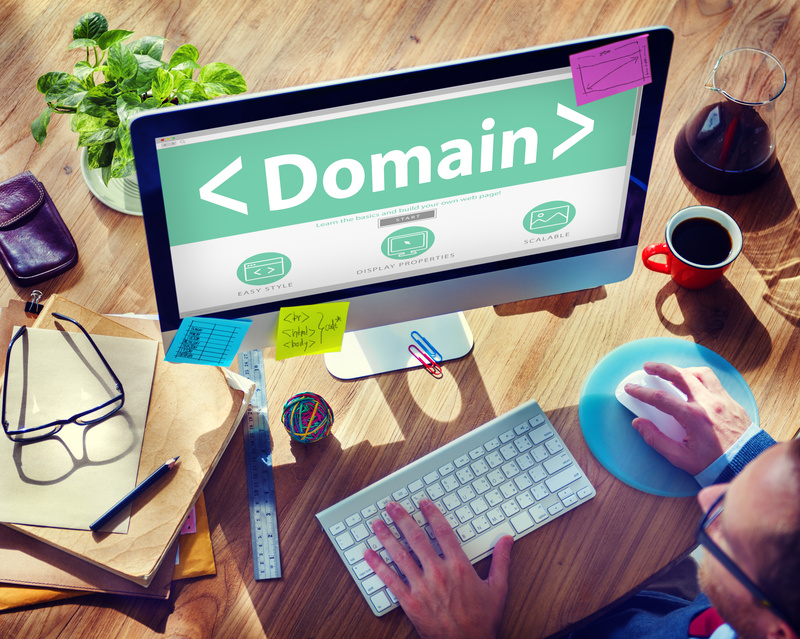 Dot com domains are still the extension of choice for prospective websites. According to domain marketplace Sedo, desirable .com domain names routinely command upwards of 4,000 dollars, and the most expensive publicly traded domain names have been known to fetch eight-figures. While that can be reason to get excited, sales of these sorts don’t occur regularly and you shouldn’t expect them for yourself. Is It Genuinely Possible to Make Money in the Domain Business? The sales highlighted above are definitely impressive, but again – most domains sell for significantly less extravagant prices and are generally in the two or three-digit range. It wasn’t that long ago that early birds who were able to secure general terms (like pancakes.com or bookmarks.com) that had yet to be protected by trademark rights often found themselves holding onto a very valuable piece of Web real estate. Those glory days are long gone, however, and those looking to make profits in today’s market must have a keen sense for upcoming trends if they want similar success. That’s not to say you shouldn’t try, however. If you have the foresight to think of a domain name that might come to be in demand sometime in the future, definitely get in touch with us and if it’s available we’ll snap it up for you! Good luck in your domain name prospecting efforts. There is a definitive difference between having users download your app and then having those users actually use your app. Surveys suggest that 80-90% of users will remove an app from their device after only one go-round with it, and most of us will recollect one or more instances where this has been true for us too. With this drop rate understood, it’s clearly more important than ever for app developers to make sure their first impression with a user is a powerful one. Here at 4GoodHosting, our expertise is what’s made us a top Canadian web hosting provider, and we admire those who’ve made also made smart design and UX choices for their digital products. The appeal of having a user to register with your app before they use it is well understood. You’ll be able to gather information about them and use that info to personalize their experience or to ramp up your marketing efforts with specific focuses. However, when you come to understand that over 50% users will abandon an app if they have to register before exploring its features it’s quickly something that you’ll decide against. A tip – consider delaying the registration process until they either want to access a specific part of your app that is reserved for registered customers only, or they’re aiming to open your app for the second time. In addition, anyone who chooses to integrate social media into the login process should always allow users the option of registering without integrating their social media profiles. Constant sharing of their activities with their social networks is undesirable for many users. Mobile devices feature small displays. There will typically be only enough room for 2-4 input fields before the user will need to scroll down. Keep in mind as well that typing on a mobile touch screen can be difficult when the user is walking or in another form of motion, and some people have to little-to-zero tolerance for any errors or strange auto-corrects. Making it so that your user to-be has to enter information into input field after input field will make him or her think negatively of the user experience. Instead, only require the simple, straightforward information from them: name, email, age, gender, or location. If you need to collect more information, splitting the input form into two or three screens is a good idea. This will give you more space per screen, meaning the user will have no need to zoom in, and it will almost eliminate the need for the user to scroll down the page. No one likes waiting, especially in the digital world. The longer the load time, the more negative the user experience. You avoid this scenario by testing, and doing so thoroughly and extensively. If you’re an Android developer, for example, you’ll test on all different device types, from top-of-the-line phones to mid-level, budget ones. Put the app’s performance to the test on Gingerbread, Ice Cream Sandwich, and KitKat before publishing. Apple developers have an easier go of it than their Android counterparts because all apps are required to support iOS 7, but iOS developers will be best served to still test their apps on older iPhone/iPad models to determine that there are no issues. Also, keep your app’s file size as small as possible, and consciously restrict the amount of processes your app runs in the background. Not surprisingly, app crashes, app freezes, and slow launch time are consistently listed as three of the top reasons why users uninstall an app. The popular taste with app design trends over the past year is for simple, cleanly designed apps. Look no further than the design aesthetic of iOS 7! Simply put, simplifying the design and layout of your app is always preferable. If you aren’t sure where to start, try stripping your app of everything but the bare essentials. Cut back on the number of tabs and screens. Understand that excess fields and pages only add a perception of complexity to the user experience. Try to determine whether or not your user really needs this feature to interact with the app? And if you’re still not sure if you app is simple enough then you can do a quick test. Are all the basic, necessary functions in your app performable with only a thumb? Yes? Excellent. No? Need to revisit. The Facebook app for Android is a great example here. Every important action can be performed right from the first screen (the newsfeed). All buttons are at the top of the screen. Left swipe for one menu, right swipe for the other. All basic actions can be performed from one screen, with the option of expanding the number of actionable items via side-swipe menus. Let’s say a user wants to undertake an action within your app. How many taps of the finger does he or she have to make to complete the action? Each swipe, tap, or pinch is an integral part of the user experience. As a rule, the user should be able to discern every tap as making some measure of progress for them towards their goal. The ideal is, of course, to have them get as much as possible with as little in put as possible. Non-gaming developers need to really take heed of this one. Perhaps you have a music streaming app and this particular user wants to enjoy a playlist of songs by their favourite artist. How many times does a user have to tap the screen before they have access to that artist? And further – does your app take them right to their artist’s page? Or does it redirect them to a search results page where further taps on their artist’s name are required? Once they arrive, is a play button conveniently located at the top of the screen? Let’s imagine further that they visit your app for a second time, looking for the same artist. Is that previous search already saved for them as a unique user, or must they begin the search process again? The fact that speed and mobile go hand in hand must be respected and catered to when it comes to app design. Always be aware of the value in looking at even the smallest details when it comes to the design of an app, looking to how that may be connected to whole of user experience. The choices you make can be pivotal in retaining app users and seeing to it your app is received well by the downloading public.